I dream of a day when the education system changes its direction from theory to hands-on. This video tells about programming and how it changed the way these people looked at things. It is an interesting one. For year and years, schools have trained us to be afraid and frustrated when we fail. 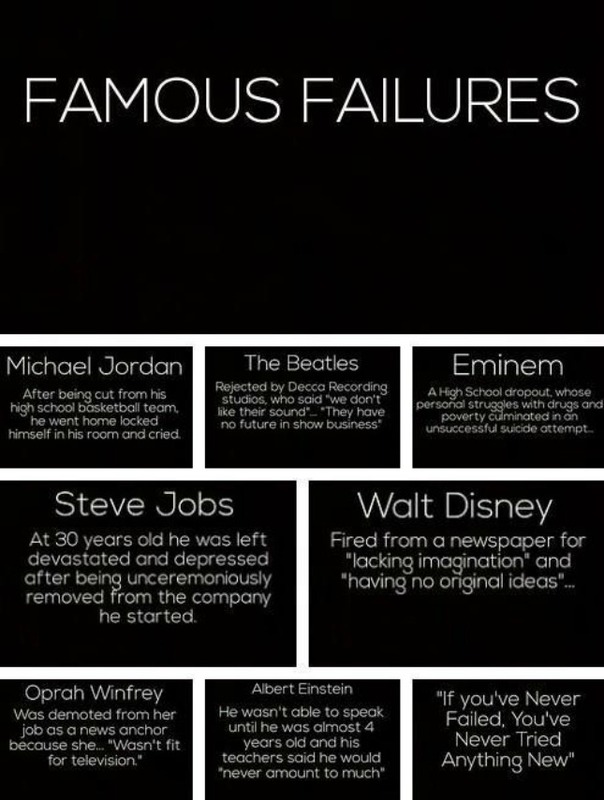 Failure is a very good thing. It’s one of the best (if not the best learning). Yet rather than capitalize on it, most schools work hard to turn failure into something distasteful. And by the time people graduate, having spent most of their formative years in an institution where failure is a sin, they have a huge fear to failing. The worst thing about our system is ranking. We’re programmed to take ranking seriously. As soon as ranking exists, we care about it – First, Second, Third, Pass/Fail. And in the worst case you fail. Nobody cares to think why you got an F Grade or why did you fail. Have you ever heard someone (your teacher/your parents) telling “wow.. interesting, you failed. Lets see how it happened?” We failed means, it is time of tuitions, advises, scolding, detentions and what not. When we run a race, play a game and fail – People will come and tell. It is a game, the most important thing is to participate and failure is a natural process. They also emphasize on points that ‘only one can win, people vary in their abilities etc etc. But none of this applies when it comes to education. They didn’t tell us that failure was a natural part of the learning process. They told us we had let them and ourselves down. We were basically told, over and over, for years, that if we got Fs, it was because we were lazy or stupid. People (understandably) hate this so much (nobody likes anyone telling you are bad), that as soon as they can, they put themselves in a position where they never have to fail again. (Or where the chances of failing are as small as possible.) They find jobs that aren’t all that challenging after an initial learning curve. The goal, conscious or not, is to coast for the rest of one’s life. Guys, just sit and think back – you were not afraid to fail once – long back. When you were a baby. You tried to stand up, fell down tried again, still failed – but one day you stood up. Nobody cared whether you fell down 100 times, people around you were cheering that you were standing up (successful). Don’t be afraid to Try. Don’t be afraid to Fail. Enjoy your life. Live it the way your heart wants!